Sri Lanka has long identified the risk of financial crime as a priority area, given the country’s history in battling a sophisticated terror organization. A number of measures were taken over the years and the government is currently working on bringing on necessary amendments to some of the existing regulations with the objective of preventing financial crimes. 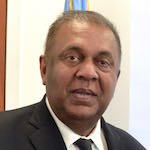 Minister of Finance and Media Mangala Samaraweera made these remarks at a roundtable discussion on ‘Financial Regulation: Working Together to Address De-Risking,’ held on the sidelines of the 2018 Commonwealth Heads of Government Meeting (CHOGM), at the Mansion House in London, today (17). It is a pleasure to participate at this roundtable on an important and timely topic. As the dynamics of the finance industry and technology constantly evolve, it is essential that financial regulations remain one step ahead. The sophistication of financial crimes has increased exponentially in recent years and is a threat to all nations, be it developing or developed nations. This has resulted in a number of negative fallouts for international finance. One such negative fall-out is “de-risking”, the scenario of global banks selectively withdrawing from the business of correspondent banking. This can have highly detrimental implications for banks in developing countries in particular as it can shut them out of the global financial architecture. This is largely attributed to the shortcomings of the existing structure of the financial system. Given the importance of correspondent banking in a globalized world, it is important to take measures to enhance respondent banks’ capacity to manage risks, improve communication between correspondent and respondent banks, strengthen and effectively implement regulatory and supervisory frameworks in line with international standards, particularly for Anti Money Laundering and counter-terrorist financing. Sri Lanka has long identified the risk of financial crime as a priority area. Given the country’s history in battling a sophisticated terror organization, addressing terrorist financing has long been on the agenda. A number of measures were taken over the years and the government is currently working on bringing on necessary amendments to some of the existing regulations with the objective of preventing financial crimes. Those measures include the introduction of Prevention Of Money Laundering Act in 2006, Convention On The Suppression Of Terrorist Financing Act in 2005, introduction of Financial transaction reporting Act in 2006 and setting up the Financial Intelligence Unit at the Central Bank. More recently, steps have been taken to address emerging issues in internationalization of financial crimes, and to meet our global obligations as well. Since November 2017, Sri Lankan authorities have taken a number of measures to enhance Anti Money Laundering compliance such as introducing amendments to the Trust Ordinance, Companies Act, enactment of the Proceeds of Crimes Act, enhancing Customer Due Diligence Rules, and regulations on targeted financial sanctions on proliferations. The challenge for countries like Sri Lanka is how to ensure continued progress of financial inclusion in this context. At a more micro-level, one of the major objectives of our government, embodied in the 2018 Budget themed Enterprise Sri Lanka, is to empower entrepreneurs by providing access to finance. In order to ensure access to finance at grass roots level, it is important for the Sri Lankan financial system to have robust access and engagement with the global financial architecture. As the financial system develops, the laws and regulations aimed at preventing financial crimes need to be updated. Sri Lanka very well understands this reality and is taking every necessary measure to keep abreast of the regulatory developments. Furthermore, the government is working with the Financial Action Task Force (FATF), in strengthening laws to prevent financial crimes. Based on their recommendations, a number of measures, including amending laws and regulations, were taken by authorities. Nonetheless the challenge for financial regulation remains significant, and staying ahead of the curve is onerous, but it is indeed imperative. Dr Dayan Jayatilleka; Does this mean that You condone all the Crimes of MR and the Previous Government? Hamlet Modaya: Did Ranil say before the election he would prosecute theives and recover the loot. did Ranil appoint FCID. Did Mangala SAmaraweera say Mahinda Rajapakkse looted $1 8 billion and later Rajitha and Mangala said they would file cases for $ 5 billion. they are LIARS. they live cheating the voters, just like you idiot. Well this is not large enough to end Clan’s attempts to absolve their mother of all crimes, Financial as well as War crimes. Long arm of the law will catch up with them. On that day please avoid all public appearances as much as we are opposed to violence we cannot give you protection. Remember Kanate. It is not surprising to a Zero Casualty diplomat making a lousy joke by mixing internal montory fraud with International Fraud, where UN, Commonwealth, SARRC,BRIC like organizations show concerns. Only scums will maintain that the bond issue is the ONLY financial crime. I hold you in great respect. You are one of the very few who has character and conviction in your duties. What you have stated is absolutely true, however it is my understanding that even presently there are enough regulations and checks and balances to monitor and curtail irregular financial transactions by ordinary people even to the tune of a few thousand dollars. Central bank follows due diligence and do everything in their power and beyond when it comes to ordinary citizens. Now my concern is that they are often oblivious to financial transactions running into hundreds of millions of Rupees and and above by highly connected and reputable people. This has been our Achilles heal in our financial system. Are you in your speech implying that you are going to apply the law onto everyone equally? Otherwise it will be business as usual, small people being made scapegoats to show that something is being done while the system closes its eyes to actual major financial crimes. Let me remind you how Sri Lanka handled the panama papers, we did absolutely nothing to take advantage of free information regarding our citizens involved in massive rackets. We know that countries followed up on panama papers and even presidents resigned due to their involvements in he same. Similarly scandals within the Central Bank go unnoticed (bond scam). Similarly central bank is unable to ascertain or comment the validity of some of the huge monies that have been transacted by ministers etc to overseas banks via the very same Central bank. In contrast a friend of mine made a payment of around 1 million rupees to a supplier overseas and Central Bank promptly invited him for questioning, and of course he had all his documents in order. I hope you understand the point I am making. So what I am asking you in a nutshell if you mean to actually make an impact. LASITH: Sri lankan’ peoples weakness is they are scared to say thieves are thieves, Fruadsters are Fraudsters. They do not like say the name and accuse. for example, SB DISSANAYAKE I suppose, SENSRATH BANDA DISSANAYAKE NAME is in Panama Papers. but he is a miniter in the govt. Mangala sold himself to LTTE rump. HE comes and tries to clean the Orumiththa govt. Now, Ravi is coming back because the gang leader and the food note gang was saved. Now, politicians can bring their loot overseas just paying back only 1%. who knows how much they will report. A commitment to prevent financial crimes in Sri Lanka! Successive GoSL have committed just one more financial crime. The ‘one more’ is for ever! Ingenious devises are in use to mask financial crimes. Looking the other way will not prevent its proliferation. What about central bank crime? When it is done by ‘Royal’ guys wearing tie and suit, it is not considered as a financial crime. Sri Lanka has long identified the risk of financial crime as a priority area. We identified it but we did bugger all to stop it. The privilege was conferred to the Sri Lankan elites from Mahinda to Mahendra to swindle the country in mega scale. Bless them thay have looked after their kith and kin as would any decent human being. However we will take all measures to stop the ordinary folks form committing petty financial crimes and punish them severely . They changed all the Exchange control acts before going to this. So, the politicians are legally allowed to do engage in money Laundering. You can lead by example and lock up your boss first. Then you can lock up the other crooks in UNP who supported Mahendran. Dr. Clean has reported Arjuna Mahendran as a missing person to Office of Missing Persons. Probably OMP might issue a certificate to that effect. That will be the end of ‘Bond Scam’. WAR CRIMEs bring all those guilty ( including Politicians) before their Courts in the Hague. If not the integrity of this world body will g down in History as an international farce. Mr Samaraweera, are you really serous or is just rhetoric? If you are serious, are you going to start with a clean sheet & write off the alleged past crimes of Mahendran & Co, RK, the Rajapakse band wagon, etc.etc. by giving them amnesty ? Earlier, it was PALHORU#1, Now itis PALHORU #3, this giy had been in both camps. The World Greatest Liar Mangala was fired from one FM (Foreign Affairs Minister) to another FM (Finance Minister) job only because his lies were too surpassing the expectation of Yahapalanaya. Now he is saying the Lankawe money Laundering problem is created by Freedom fighters. Lankawe is listed as one in 18 safe havens for financial fraud. But Lankawe is listed as 174th on the 179 countries’ media safety. Amazingly, Mangala is the Media Minister and Mangala is the fiancé Minister. Mangala, The World Greatest Liar, is not taking about how is he going to fix the problems, other than reading some past history from Mahavamsa lies. Let’s see why LTTE needed money. It needed money to by arms from foreign arms dealers. It ran its businesses, it did fundraising. But these all were outside the Ceylon soils. It raised money outside. It paid for arms outside. It did not make Ceylon involved in those transactions. It used the loopholes existed outside of Ceylon. It did not bring money in or it did not take money out of Ceylon. In fact, none of the legislation The Greatest Liar saying has any concern of the topic he was addressing. He just fooled the Commonwealth Finance Ministers the way he fooled the UNHRC. But the latest Act, which his government passed only to facilitate his government and Old Royals government looters to bring the illegal foreign commissions inside, is carefully avoided by for mentioning – The foreign Exchange Fraud Amnesty act – 2017. It is only after that act Lankawe is listed as one in the 18 countries, where so dangerous foreign exchange frauds take place. America passed some solid information of $18B to this rogue minister. Earlier too, America passed a ship load of drugs coming to Lankawe from Pakistan. Appe Aanduwa passed the information to Pakistan and made the ship to escape. Now what Mangala’s government did of the $18B was they applied the new Foreign Exchange Fraud Amnesty Bill of 2017 and legitimized that fraud. Old Royal government melted all the Thalikkodies from Tamils and sold 20,000 tons of gold to Japan. Because Japan gets along with West, it easily escaped with 20,000 ton gold bought for a hora price. Japan’s money is illegally invested all over Japan Korea trading companies. Even Pakistan punished its Panama Bank fraudsters, but Lankawe did not. America wanted to send Rajaratnam to Lankawe, but Lankawe did not accepted because he has been working with both parties (UNP & SLFP) on illegal deals. In many other cases, SLFP government, unlimited amount of loans obtained, but they are no in Lankawe books. That is telling that most part of the loans never reach the soil of Ceylon. Long live Mangala, the world greatest liar. Common Wealth is a Joke too. Britian stole from it’s mzany colonies and now they exhibit those looted items in their museums. they sell arms to those nations.they get migrents who keep the country floating. so, what ever lies said are OK. It is just to keep the royalty and kingdom alive. 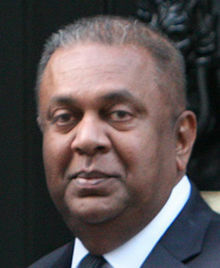 Mangala Samaraweera is lso another naked politician. One journalist says Mangala Szamraweera has passed laws even to chzarge Taxes of 5% from workers work in overseas as well as from Retired. What a pathetic way. they get free fogreign trips, super luzury cars, free meals, free helicopter trips at the expense of the country. They chrge taxes from pooerest of the poor. Simply animals. butchers have more compassion than these thieves. they charge Money Launders who bring hidden money or Drug and Weapon money etc., just 1%. REtiriess and and Middle east workers are taxed at 5%. that is who they promote financial crimes. What are you waiting for Mr. Minister? This Govt. was elected primarily to just do that and put the finances in order and in proper perspective and now you are talking about preventing financial crimes as if the Govt. has dealt with the past financial crimes and brought the perpetrators before the Law. Before you speak of your non existing financial plans you will do well to stop the day light robberies of some ministries and other Institutions. Of course you have to begin from UNP. We hope you have that courage and sincerity of purpose. People who make these constructive criticisms very soon may give up as they observe their callous disregard to honesty and good governance. Country is going begging for a honest leader?.